The book about Duane and Floppy and the magic of "The Floppy Show"
Order your copy now--autographed by the author! and at our companion site, totallyiowa.com. SPECIAL INFORMATION ABOUT EPISODES OF "THE FLOPPY SHOW"
We get many requests for copies of specific episodes of the program. and even those that were videotaped were routinely recorded over. from a specific date and make a copy for you. However, compilation DVDs of what material does exist are available for sale. This is the only online site where official Floppy merchandise can be purchased. The "Floppy" icon and logo are owned by the Family of Duane Ellett, and are protected by federal and state copyright and trademark laws. No use of the "Floppy" image is permitted without prior consent of the owner. 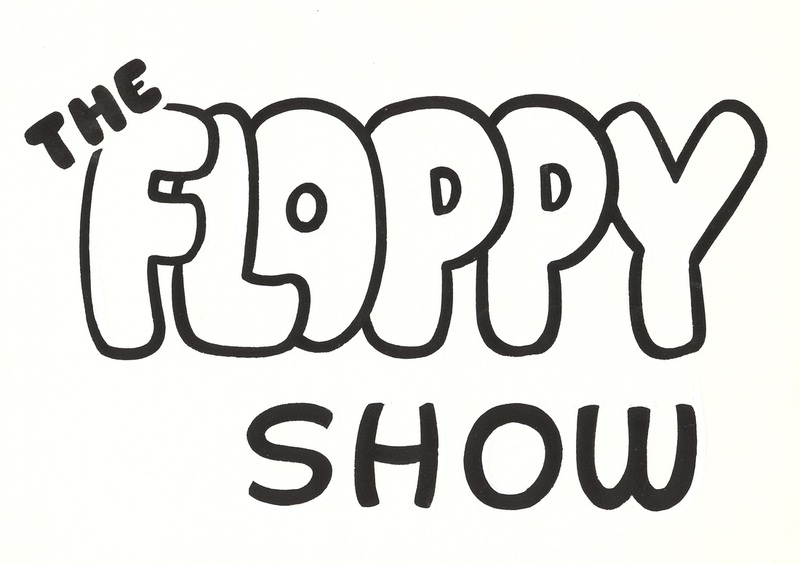 Video of "The Floppy Show" is copyrighted material used here with permission of WHO television. Prices include Iowa sales tax. Items are shipped via the United States Postal Service (either First Class or Priority Mail). Material on TheFloppyShow.com is Copyright 2019 by Totally Iowa. All Rights Reserved.